Jean-Paul Guiboux, MD is an orthopaedic surgeon whose practice is limited to the treatment of hand and upper extremity disorders. Dr. Guiboux graduated from the University of Michigan Medical School in 1991. He completed his residency at William Beaumont Hospital in 1996. In 1997, Dr. Guiboux completed a fellowship in hand and upper extremity surgery at Thomas Jefferson University in Philadelphia. Dr. Guiboux became Board certified in 1999 then received his Certificate of Added Qualification in Hand Surgery in 2001. Also in 2001, Dr. Guiboux founded Michigan Hand and Wrist, P.C. a comprehensive care center for treatment of upper extremity disorders. Dr. Guiboux has published articles on various orthopaedic topics in peer-reviewed journals. He has made award-winning presentations at national and international meetings. He is a member of the Michigan State Medical Society, the American Academy of Orthopaedic Surgeons, and the American Society for Surgery of the Hand. Dr. Guiboux treats patients of all ages with expertise in the management of acute and chronic disorders of the hand and upper extremities including rheumatologic conditions, sports injuries, neurologic disorders, microvascular reconstruction and trauma. Michigan Hand and Wrist offers complete surgical and non-surgical care of all upper extremity problems including on-site physical and occupational therapy..
Jeff Placzek, MD, PT received his undergraduate and graduate physical therapy degrees from Oakland University in 1988 and 1990 respectively. In 1998 he graduated from Wayne State University School of Medicine. 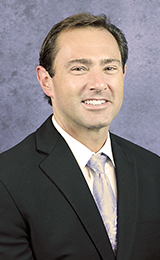 Dr. Placzek completed his residency in orthopaedic surgery at William Beaumont Hospital in 2003 and his fellowship in hand and upper extremity surgery at Washington University in St. Louis in 2004. Dr. Placzek has published articles on a variety of topics involving surgery of the hand , elbow and shoulder in journals including The Journal of Orthopaedic Research, Journal of Hand Surgery, The Journal of Shoulder and Elbow Surgery, The American Journal of Sports Medicine, The Journal of Orthopaedic and Sports Physical Therapy, Physiotherapy and others. He has presented research and workshops at a variety of local and national meetings. He is the editor of the popular text, Orthopaedic Physical Therapy Secrets. He remains active in physical therapy education as an Associate Clinical Professor for the Department of Physical Therapy at Oakland University. 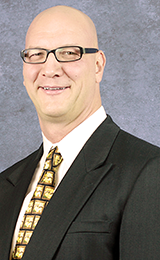 In 2004, Dr. Placzek joined Dr. Guiboux at Michigan Hand and Wrist, PC. Dr. Placzek treats both pediatric and adult conditions including trauma, sports injuries, arthritis, microvascular reconstruction, rotator cuff disease, frozen shoulder and total joint replacement.